Do you remember the story of the Little Mermaid? How Ariel used to spend all her time under water and we all thought it was so cool? Well. Get ready because we found her. But she isn’t a damsel in distress like Ariel, she is a strong career women, who’s making Egypt proud. 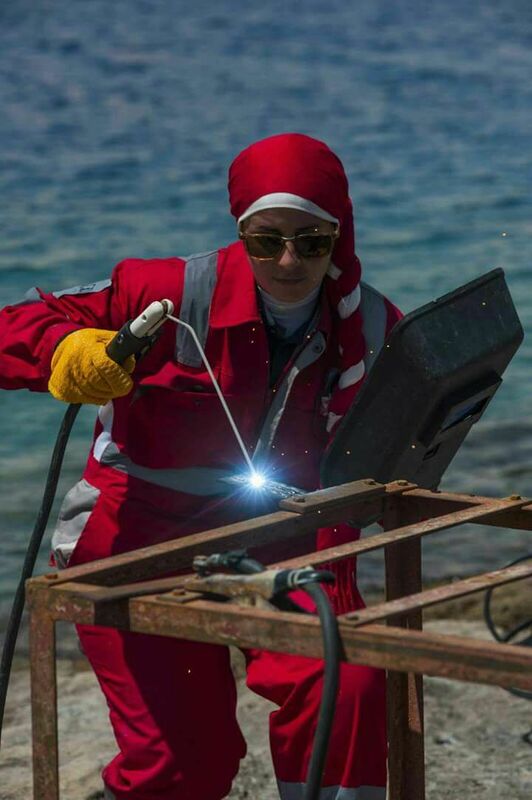 Bassant El-Bestawy might seem to you like a normal 25-year-old but while most girls would be doctors or businesswomen, Bestawyis one of the only five female underwater welders in the Middle East. “I’ve always been drawn to the sea,” Bestawytells Egypt Independent. “So when I decided to go into petroleum engineering I wanted to go into something that served both my career and my hobby. I wanted to be special.” So in 2014, Bestawy began her journey to become the only certified female underwater welder in the Middle East from the prestigious International Diving School Association (IDSA). She began by choosing the right specialization, “I specialized in Petroleum Engineering, Materials department in 2014.” She then graduated and began to work with different companies. But what exactly does an underwater welder do?